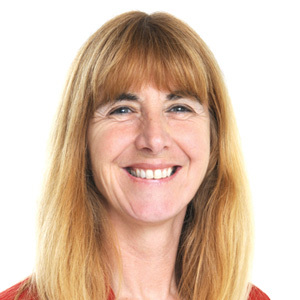 “With just one week until the Auckland Council election concludes, City Vision is staying focussed on the big issues for our communities”, says Cathy Casey, sitting Councillor and candidate for the Albert-Eden-Roskill ward. “We have been upfront with voters about the major issues, while our opponents have shied away from giving clear positions. We urge all residents to consider which candidates best represent their values, and to cast their votes today”, says Peter Haynes, Chair of Albert-Eden Local Board and candidate for the Albert-Eden-Roskill ward. NO TO ASSET SALES – We support public ownership, unlike our opponents who continually refer to selling off the Ports of Auckland and our airport shares. Bear in mind how the C&R majority supported John Banks to hawk off our pensioner housing despite 10,000 Aucklanders opposing the sale. YES TO A LIVING WAGE – We are the only team to back the Living Wage. Our opponents didn’t even have the courtesy of turning up to local meetings on this issue and C&R has consistently voted against it. YES TO THE CONGESTION FREE NETWORK. – We are the only team to support the visionary Generation Zero concept for a congestion free city, with a major shift in emphasis to public transport. “Voters in our communities can vote for City Vision and Roskill Community Voice candidates knowing our values and our record.” says Dr Casey. “As of today only 14% of Aucklanders have voted in the elections. Given the significant issues at stake, we strongly urge all residents to get out their voting packs today and vote. Our communities need a strong voice in local government, and leaders with clear policies and values”, says Peter Haynes.